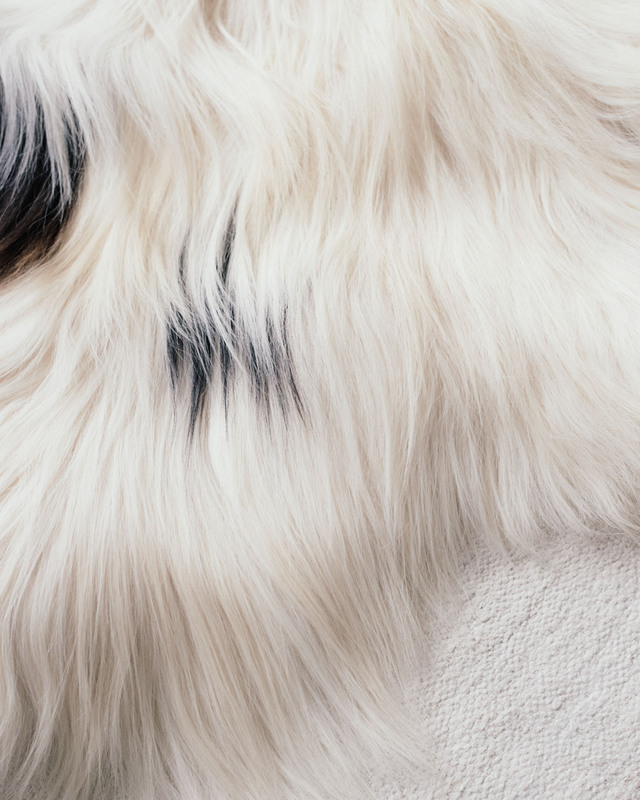 The natural white Icelandic sheepskin has a few brown spots. Vintage Alvar Aalto lounge chair topped with a sheepskin. Photo credit: Hanna Tveite and Thomas Slack for The Line. Sheepskins are the loveliest thing to sit on. I like to store them for summer, though, to make room for lighter textiles. As the temperatures drop, it is time to bring back all things woollen and furry. 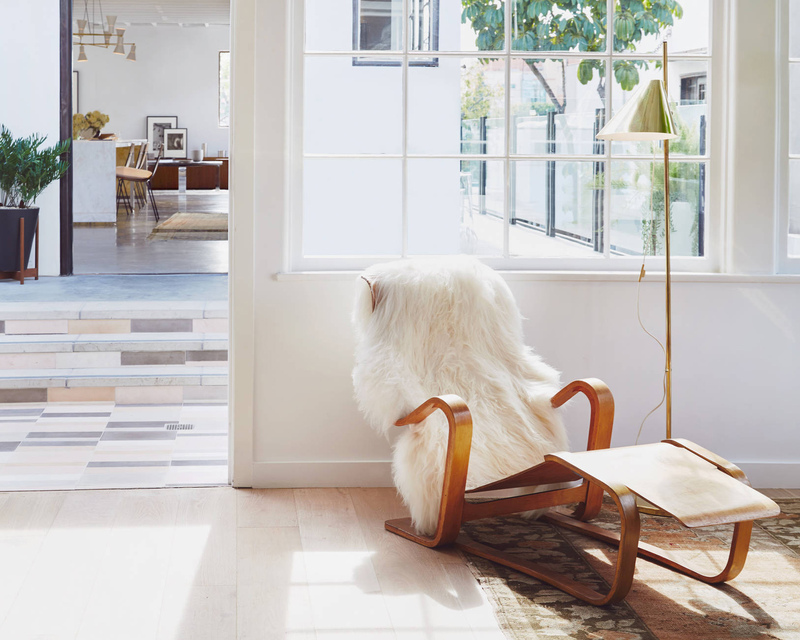 The Line carries a beautiful, basic selection of Icelandic sheepskins with long hair. I have also found great hides in Casuarina and small farms in Finland. Besides the long-haired Icelandic hides, I love the grey curly ones that come from the Swedish island of Gotland. I always go for undyed skins (even the dark-haired hides are naturally light on the inside) with no bleaching, and make sure they come from a respectful farm and tannery. The shape and the color of each hide is unique and there is something very raw and natural to them, which I love. The hides are biodegradable and a byproduct of the meat industry. They are also very hard wearing so if you invest in a high quality piece, you will enjoy it forever.